On the day of the IU Women’s Little 500 cycling race, spectators from far and wide come to roar their tributes to the speeding helmets below and ground themselves in classic Hoosier nostalgia. The fans glimpse the checkered flag as it ushers in the newest snapshot of history, and after gobbling some candids for themselves, they toast the fresh champions and head home. They weren’t riding along on 20-mile practices. 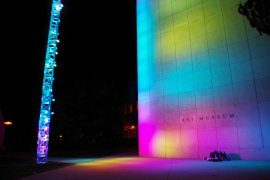 They weren’t standing by to cheer during early mornings and late nights spent on unforgiving bicycle seats and rollers. They weren’t grinding every day for the mere chance to perch atop a silver Schwinn for a single day in April. For the sea of faces in the gleaming metal bleachers, this day is all about the race. For the six women in the candy-striped jerseys, this day is all about the entire year before. 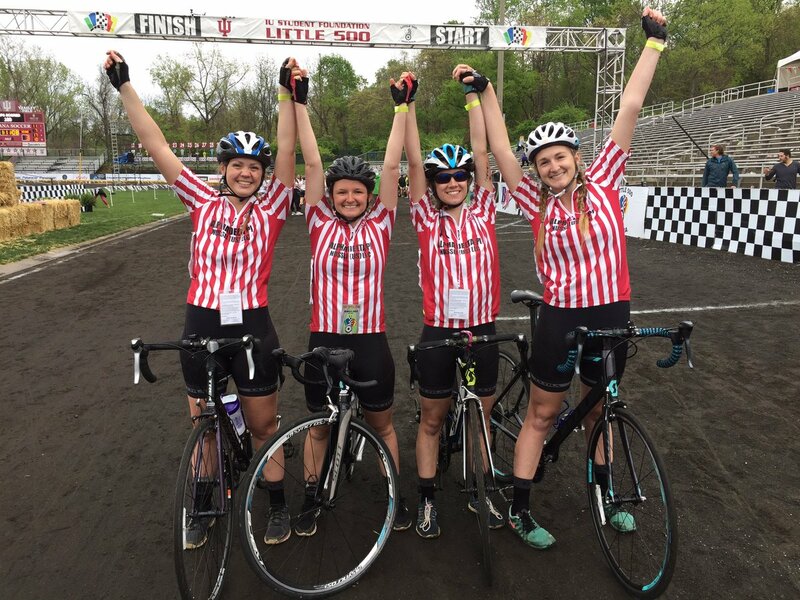 The Alpha Delta Pi sorority cycling team ended the 2017 Women’s Little 500 in 18th place, breaking their record from last year. The race, however, only scratched the surface of the training required to get there. The team biked 100 miles a week during the months leading up to the race, battling through numerous bumps in the road to stay on top. One team member cracked a helmet and endured a concussion, while another broke a collarbone. Still, every day the team climbed back on their bicycles. Skorin said working with a cycling team is a different dynamic than with other sports. The group needs to mesh well and communicate, or otherwise the literal relay aspect of the race simply doesn’t work. Cycling teaches how to work with others and create a symbiotic relationship, according to sophomore team cyclist Elly Rutkowski. Not only does each member need to pull their own weight, but they also have to trust others enough to build a steady rhythm. The sport isn’t all grind though, Rutkowski said. The rookie laughed as she recalled falling off her bike, getting lost on a road ride and putting her helmet on backward too many times to count. Cycling isn’t only about the Little 500 for her, she said. 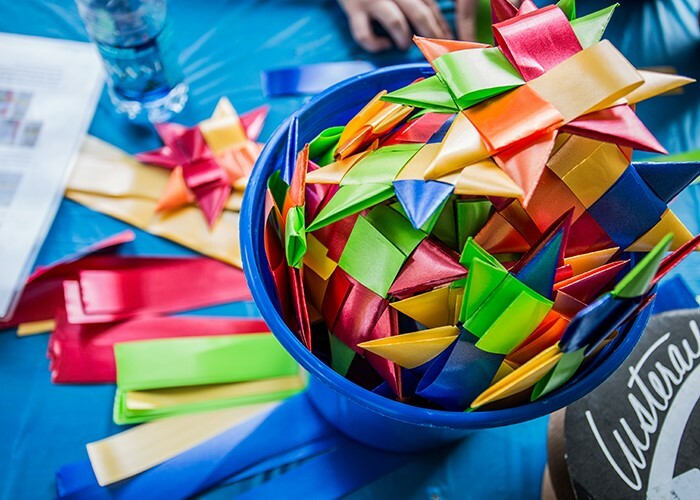 Being a team member has given her new appreciation for the sport by itself. Still, the 1 a.m. roller practices and constant concern over race timing takes its toll. Both Messenger and Rutkowski said they have days where it’s hard to even look at a bicycle. 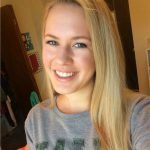 IU sophomore in the Media School studying Public Relations and Journalism.